Pretty decoration for any door or wall. 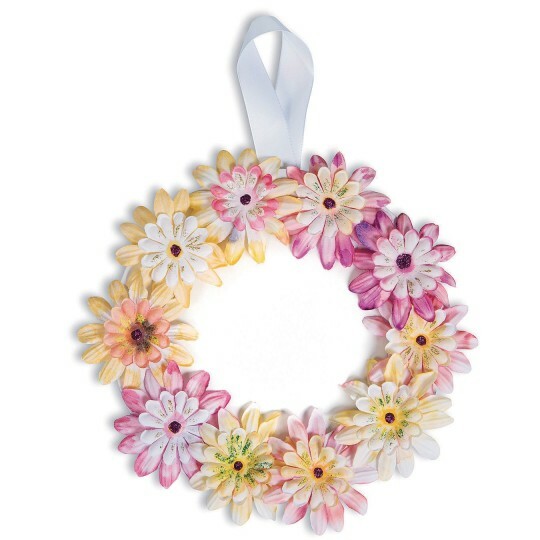 Design your own flower wreath by blending colors on our fabric flowers and then assemble them on the wreath form. 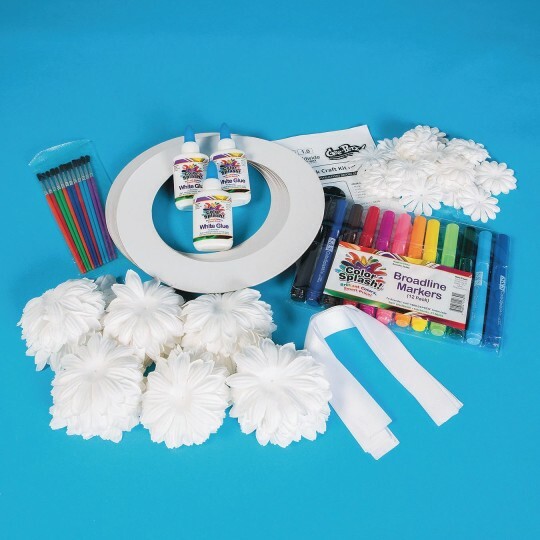 Add extra details with glitter glue. A pretty decoration for any door or wall. All supplies and instructions are included. Finished wreath measures 9” in diameter. Pack of 12.